Originally from Sheboygan, WI, Jeremy attended UW-Madison where he earned a BS in Economics. 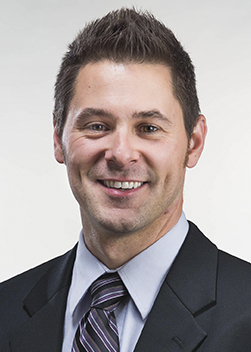 After graduation in 2001 he joined West Bend Mutual Insurance Company as a Commercial Lines Underwriter, later becoming a Regional Sales Manager. In 2007 a move to Liberty Mutual Insurance Company as a Territory Sales Manager in Wisconsin gave him the opportunity to work closely with many of the producers at Robertson Ryan leading to his 2012 decision to join Robertson Ryan as an agent. Jeremy sat on numerous insurance committees with the Big I in the past and was also involved with the PIA. He looks forward to continuing his alliance with many of the insurance organizations in WI. Jeremy is an active member of Elmbrook Church, participating in small groups and volunteering in Serve Saturday projects helping the community in the Waukesha and Milwaukee area. He enjoys spending time with his wife, their young daughter, and his dog, Moxy. Other passions include golf, home improvement, cooking, and music.